week 1 A shift should bring unsettled, frontal type weather to most of the country. 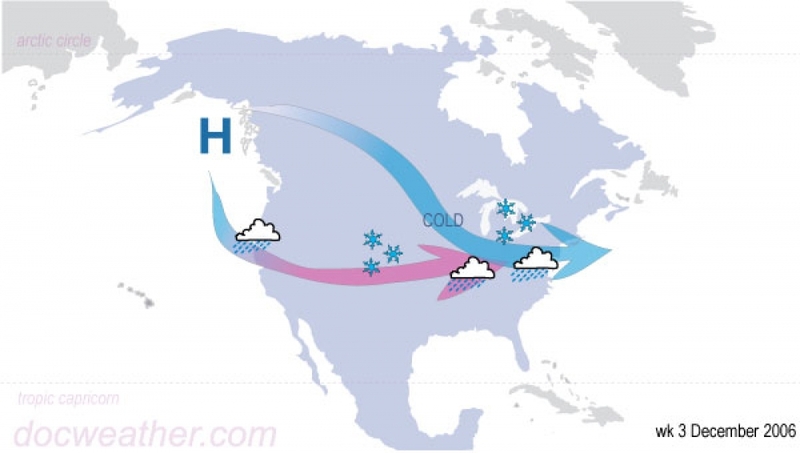 week 2 High-pressure building in the west should drive the storm jet to the north. 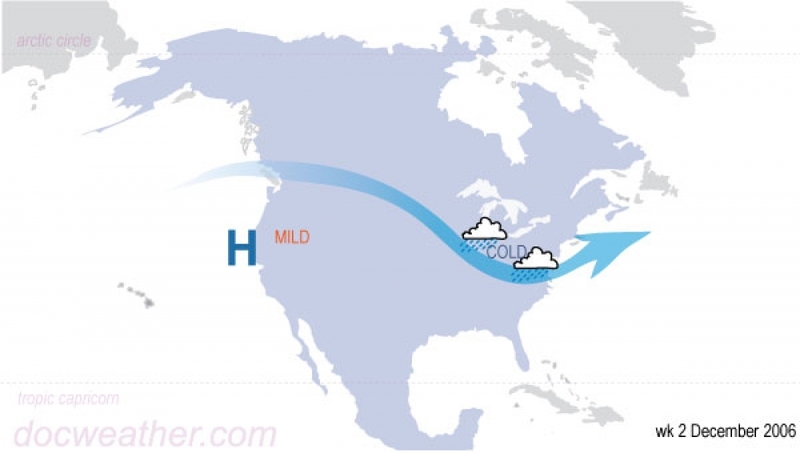 Look for clearing and milder in the west, colder in the N High Plains and cold fronts across the eastern third. week 3 A strong shift on the 12th should push the western block to the north and the Pacific jet to the south. 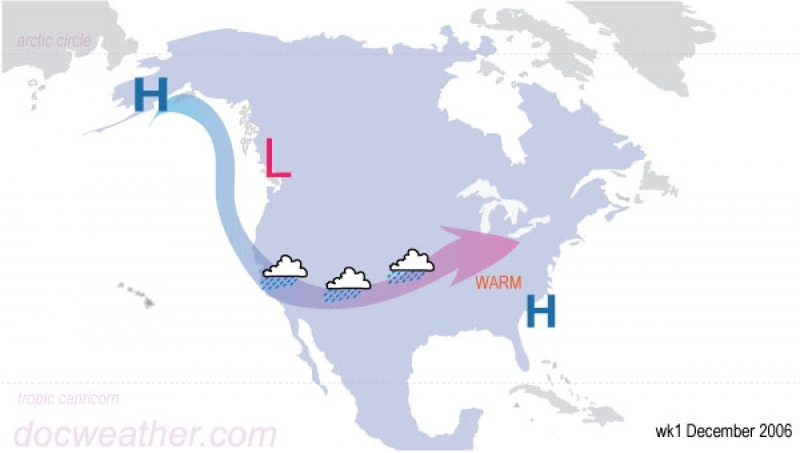 Look for stormy weather on the West Coast, High Plains, Central States and the Mid Atlantic states. 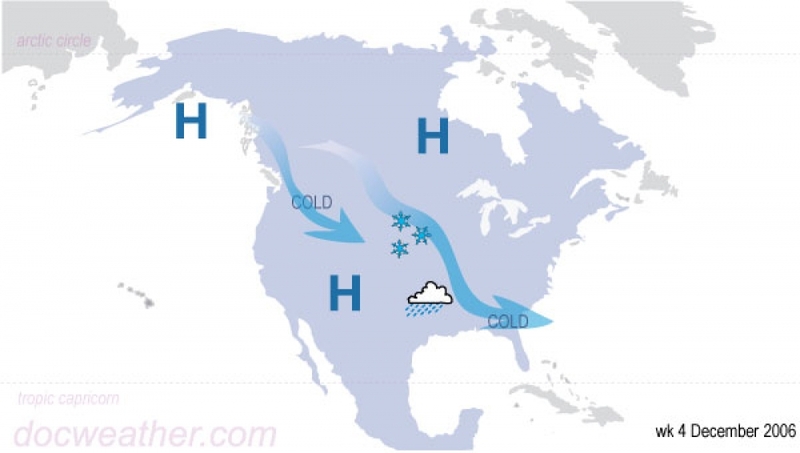 week 4 High-pressure in the Gulf of Alaska and western Canada should bring cold down into the continent on both coasts. Watch for citrus freezes in the southeast.